The annual trek which began on Monday will continue till March 1. 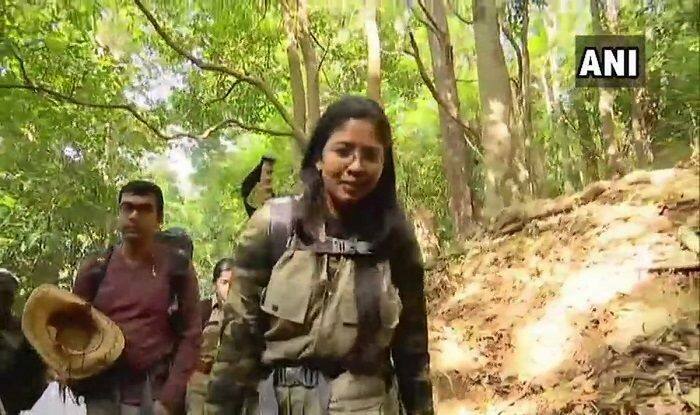 Kerala: The spokesperson for the defence ministry in Thiruvananthapuram, Dhanya Sanal, became the first woman to trek to Agasthyarkudam after the 2018 Kerala High Court order allowed women to trek the peak. The annual trek which began on Monday will continue till March 1. The peak is considered to be the final resting place of sage Agasthya, who is an eternal celibate. In November 2018, the high court had granted women the permission to trek to the 1,868-metre high peak inside Neyyar Wildlife Sanctuary. The court added that the fundamental right of women in this matter could not be denied. Sanal said, “I’ll stick to take the pathway and not go into prohibited areas and hurt the sentiments of the tribals.” The Kani tribe which lives at the base camp in Bonacaud in the foothills of Agasthyarkoodam protested against the trekking of women at the peak. According to the superstition held true by the Kani tribe, the presence of women at the peak is likely to affect the celibacy of the Hindu sage Agasthya. The peak is believed to be the abode of the sage. Before the order was passed in the high court, women were prohibited to trek beyond the base camp in Athirimala which is 6 km below the peak. The Kani tribe threatened to conduct ‘namajapa’ protests in case women attempt to trek the mountain.